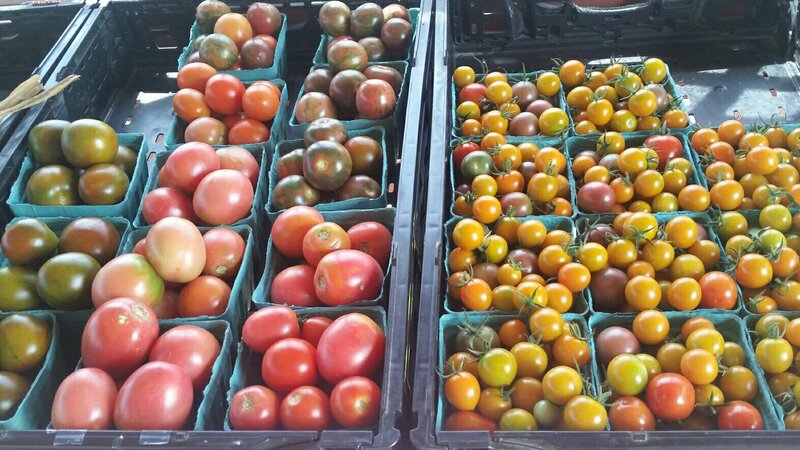 We are finally picking enough tomatoes to keep the farmstand stocked. Lots of sweet cherry tomatoes and “salad” tomatoes. Still waiting on the big slicers…..
And Dragon Tongue beans. 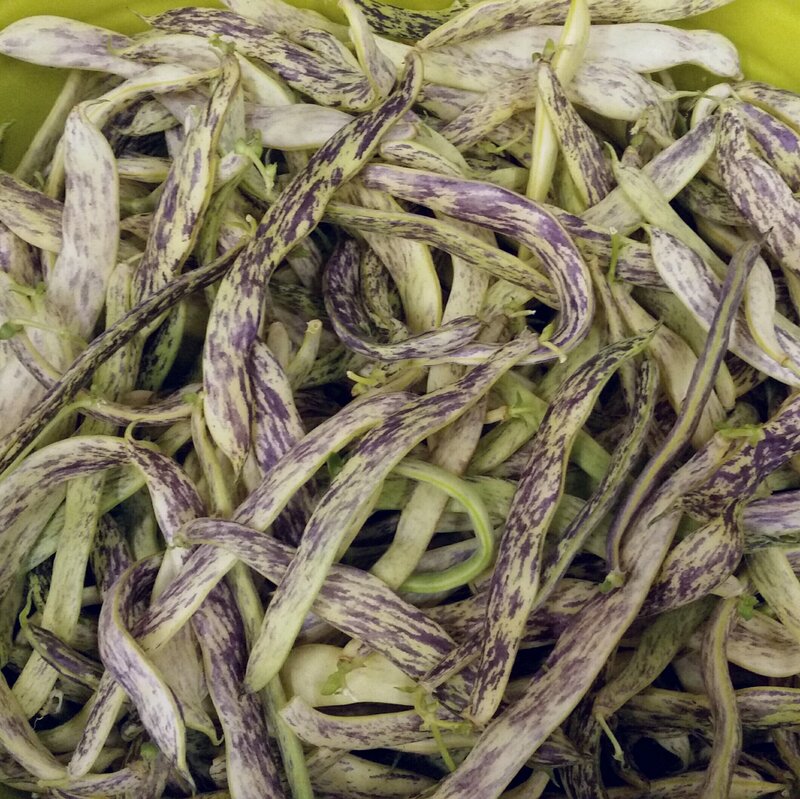 These beautiful heirloom beans have a wonderful flavor. Try them steamed with a little butter or add to soup. We also have a variety of sweet peppers – bell, Melrose, Jimmy Nardello, shishitto, cubanel and Italian frying peppers. Heirloom eggplant, zucchini, lemon squash, cucumbers, garlic, herbs and eggs. If you’re interested in our honey, please make arrangements for pick up prior to coming out. We don’t keep it stocked in the farmstand. This entry was posted in 2018 Harvest, Main Menu, What's Available This Week?. Bookmark the permalink.